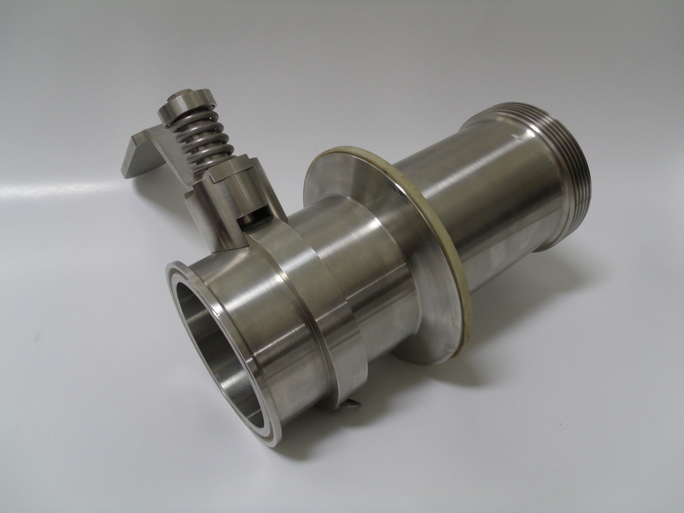 Stainless Steel Valve - Powers Machining Inc.
Food grade stainless steel valve manufactured using CNC Turning and Milling. With a laser cut handle that is formed in our press brake and then assembled all in house. We can package and ship individually so your product is turnkey.